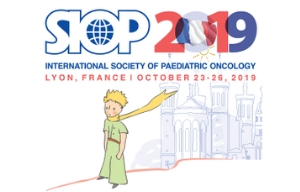 Thanks to the collaboration between SIOPE and EORTC, the QUARTET (Quality and Excellence in Radiotherapy and Imaging for Children and Adolescents with Cancer across Europe in Clinical Trials) project intends to improve radiotherapy treatments in children and adolescents by reducing the risk of local recurrence and long-term toxicity. The ultimate ambition of this project is to obtain an increase in cure for children treated for cancer combined with minimal treatment-related side effects on survivors’ quality of life. Establishing the effectiveness of the use of radiotherapy plays an important role in achieving better outcomes for childhood cancer patients. To achieve this aim, the QUARTET group plans to investigate and assess the effectiveness of radiotherapy in paediatric teenage and young adult (TYA) cancers through an online prospective quality assurance programme, in partnership with EORTC. QUARTET ensures a prospective centralised review of radiation treatment plans for every child and TYA treated in a clinical trial prior to radiotherapy, in order to make necessary amendments if needed. QUARTET has been funded thanks to the generosity of Fondatioun Kriibskrank Kanner, a Luxembourg foundation that provides multi-disciplinary support to families of children with cancer, raises awareness to improve the condition of sick children and actively supports paediatric oncology research with one goal: heal better and quicker. 1. Development of standards for quality control of radiotherapy for paediatric & TYA tumours in Europe. 2. To report the results of the RTQA benchmark case procedure before initiation of the trial. This will investigate the variation in target volume and organs at risk (OAR) definition, and report the inter-observer variability when following the trial-specific delineation guidelines. 3. Apply existing TCP and NTCP models to the benchmark case results to estimate variation in outcome from contouring variation. 4. To determine whether the outcome of the RTQA benchmark case can predict the quality of radiotherapy. The rates of prospective modifications to submitted radiotherapy clinical target volumes (CTV) and the rates of modifications to submitted radiotherapy plans will be reported. 5. To assess the quality of the radiotherapy delivered, reporting the conformity index and homogeneity index, and also reporting the integral dose delivered; looking to determine whether geographical location or treatment centre size (number of patients) have any impact on this. If indicated, the reviewers will request modifications to the radiotherapy plan before its delivery to the patient. 6. To assess the cost-effectiveness of quality assurance for radiotherapy planned for the prospective studies, looking to evaluate the costs and benefits for implementation of RTQA for the respective cancer types, and determining the role for RTQA for future trials. 7. Research into novel radiotherapy treatment schemes or techniques that may increase therapeutic benefit and decrease toxicity risks, including proton therapy and brachytherapy. 8. Validation of the concept of prospective quality review in radiotherapy. For suitable candidates this fellowship will lead to a PhD. If the candidate is not yet affiliated to a university or scientific institution that can host a PhD project, the project leader can offer a PhD project through Ghent University. 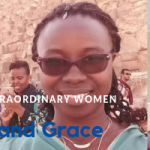 • A radiation oncologist in training (for a minimum of 3 years) or health care professional with experience in radiotherapy planning and dosimetry. • Experience in radiotherapy techniques with an interest in paediatric radiation oncology and clinical trials. • Statistical skills are an asset. • Ability to work independently, under supervision of the radiation oncologists of the QUARTET steering group and its project leader. • Excellent communication skills, both oral and in written. • Have an interest in research methodology and good research practices in radiation oncology. • Motivated and with a strong sense of responsibility. • Excellent knowledge of English in reading, writing and speaking. • Ability to write peer-reviewed articles and grants, and to present in scientific conferences. • Be a team player. • Be able to work in an international and multidisciplinary environment. All documents should be written in English. Support to the fellow is provided by a multidisciplinary staff including medical doctors, physicists and biostatisticians. The fellowship will take place at the EORTC Headquarters in Brussels, Belgium, where SIOPE also has its office. The fellowship starting date is in 2018. The fellowship is for a period of one year, renewable to a maximum of 3 years subject to funding. EORTC and SIOPE offer a highly stimulating, professional and friendly atmosphere in an international environment. 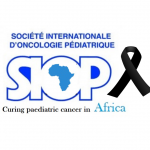 SIOP Europe and CCI Europe presented the 2019 European Elections Manifesto for the paediatric oncology and haematology community: “Beating childhood cancer: Cure more and cure better – Towards zero deaths and zero late effects” at the European Parliament. The SIOP ASIA 2019 meeting offers an ideal platform to share expertise, foster collaborations and assess rising technologies across the world. 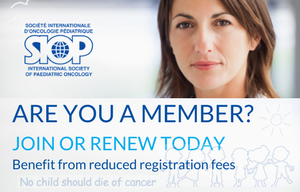 World-renowned speakers, the most recent techniques, tactics, and the newest updates in Paediatric Oncology fields are hallmarks of this Congress.